Google Pixel 3/3 XL may have updated Visual Core chip & "Super Selfies"
The camera is a big part of what makes the Pixel phones so popular. We’ve already seen the Pixel 3 XL a many, many, many times, but earlier this week we saw some camera samples. A few of those samples showed off the front-facing camera. Today, we’re learning a little more about the front-facing cameras on the Pixel 3 devices and why the notch is so big on the Pixel 3 XL. 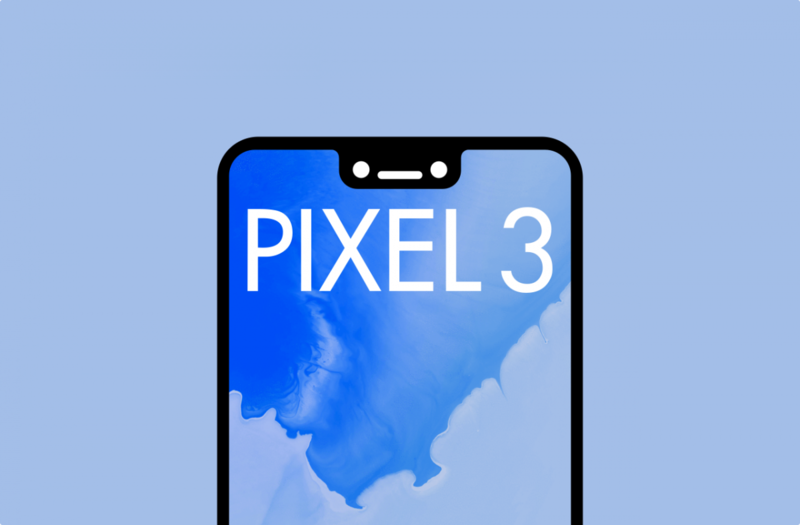 According to sources at 9to5Google, the dual front-facing cameras are for better selfies, something Google may call “Super Selfies.” Both the Pixel 3 XL and smaller Pixel 3 have these dual cameras, but they are more noticeable in the notch on the XL. The photos are said to have more faux bokeh improvements in Portrait Mode. The second camera sensor is a wide-angle lens. Face retouching will also get an update with new “Natural” and “Soft” options. It seems that selfies will be a big point of focus. It’s also possible that the dual cameras will be used for a facial recognition feature, but that is still mostly unknown. Moving to the back of the phone, there is still just one camera, as we’ve seen. The source also says that Google is including a new Visual Core chip that will have even more features. Apparently, low-light photos are “incredible” with the new camera setup. We got a taste of the Pixel 3 camera earlier this week, but that is not final software. The photos should look even better once Google has fine-tuned the camera. Do “Super Selfies” and possibly better facial recognition make the big notch worth it? Or would you rather have a smaller notch and just one front camera?